Matboard discount packs in the most popular colors and standard sizes. 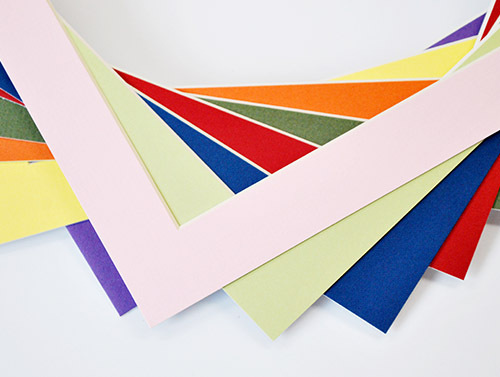 Precut matboard packs are for quick purchasing of standard mat sizes in our most popular color. Get incredible savings of up to 77% off on large packs. Our packs some in all standard sizes (8x10, 11x14, 16x20, 18x24 etc.) and our most popular colors. You can customize your order with our custom matting page. It allows you to select any quantity, size and color. Pricing is the same (at the same quantity) so you will get the best possible deal regardless of how you purchase.